My poor neglected blog! I'm sorry I've been away so long! But I'm back, and I have lots of Christmas craftiness to share. 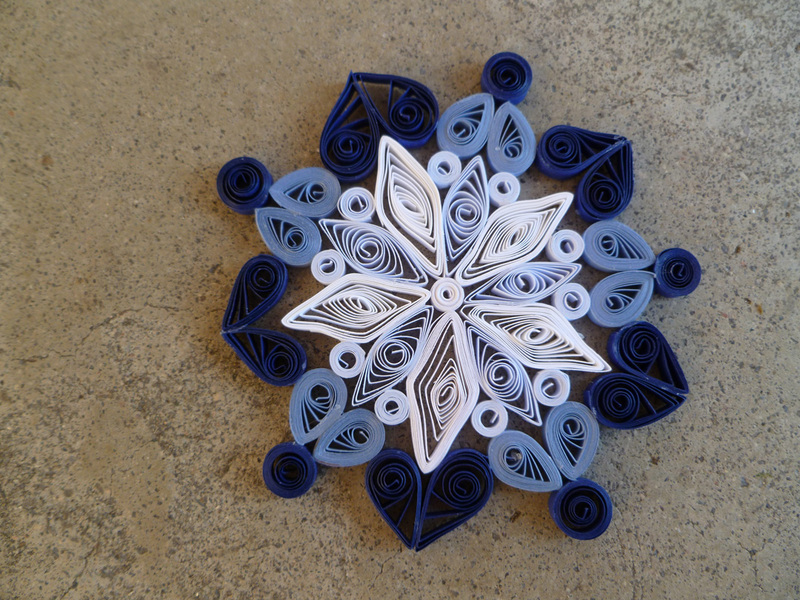 The first finished project is this quilled snowflake. Quilling is actually an ancient art. And while I'm no pro at it, I think it's really fun. 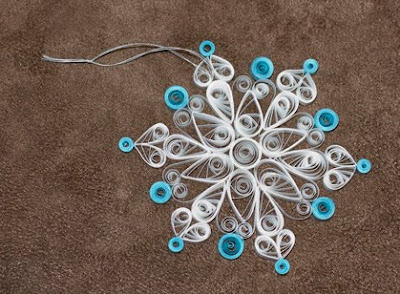 Even the simplest pieces look complicated and ornate when put together. I wasn't following a particular pattern, just sorta made it up as I went along. It didn't take very long, and I love the way it turned out so I'll definitely be making more!